Having worked and volunteered in education in primary and secondary schools, as well as higher education for a quite a while now I have seen a range of developments and changes. When I started out we were still using blackboards with chalk and were most excited about being able to use a TV with video recorded or an overhead projector, which most of today’s youngsters haven’t ever seen and cannot fathom. With the introduction of data projectors, interactive whiteboards, iPads and so on, lesson delivery has also changed over the years. Initially, we made PowerPoint presentations and delivered them in class, but now we make videos for pupils and students to watch outside the classroom, so that in class we can focus on discussions and activities. Flipped learning it is. The popularity of flipping classrooms is evident when looking at a simple Google scholar search for journal articles. Using the search term “flipped classroom” within article titles brings back 2 articles for the ten-year period from 2000 to 2010, but 917 from 2010 to 2015. “Flipped learning” within article titles does not yield any results up to 2010 but 364 articles for the period from 2010 to 2015. 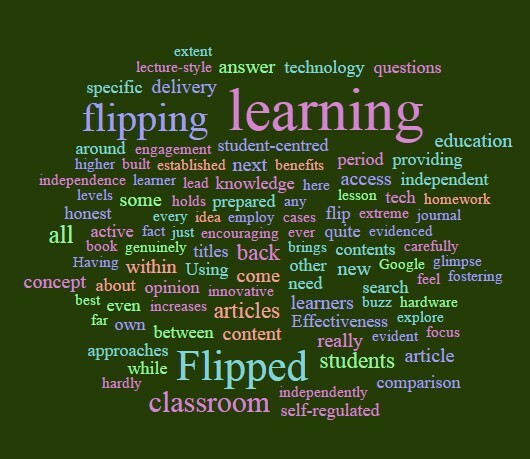 In 2014 a Flipped Learning Network™ was established, which even holds a three-day conference just about flipping. But is flipping really all the rage? 1.) Flipped learning is not a new concept. Although the terminology and buzz around flipping seem to suggest that this is a new and innovative concept, it is not really. Yes, the tech used nowadays for the delivery of content is new, but the concept of setting homework and tasks to prepare for next lesson is something that has been around for quite a while. Where really is the difference between “watch the video, answer the questions, come back prepared” and “read the book or article, answer the questions, come back prepared”? 2.) Effectiveness of flipped learning is not evidenced. In the many articles about flipped learning we hardly ever get a glimpse of the effectiveness of the flip by comparison to other student-centred approaches. Usually, the comparison is between lecture-style transmission of knowledge and active, student-centred approaches within flipping. Indeed, the study by Jensen, Kummer and Godoy (2015) demonstrates that learning from flipped learning is no different to learning from active learning strategies, and so the flipping adds nothing to the learning. 3.) Flipped learning does not lead to independent and self-regulated learning. To some extent flipping is based on the idea that students study independently and come back armed with knowledge. Truthfully, flipping may do that for some students and pupils, but by far not for all. Truly self-regulated and independent learners will explore the contents for the next session in their own time. With flipping and providing specific materials we are allowing learners to rely on us to provide them with the resources they need to understand the contents. In some cases, there are even self-assessment tools built into flipping, so the computer will tell you if you need to review a specific part of the content or if you can move on to the next topic. This is not encouraging reflection on your own learning and thereby fostering self-regulation or independence. This is merely computerising and technifying the learning process and the delivery of content. 4.) Flipped learning relies on access to technology. In today’s technologically driven and communicative world it may be all too easy to assume that every learner has got access to the technology, hardware and software required to participate in flipped learning situations. The truth is though that there are learners who do not have the access and they will probably feel too embarrassed to disclose that fact, too. Considering that learning and education means providing opportunities for all flipped learning may not be the best response. So should we not flip at all? This is the other extreme, and my honest opinion would be no, that is not the answer either. Flipping does have its benefits. Flipped learning as active learning increases students’ levels of participation and engagement in learning and there are students who genuinely like learning using technological devices. So I, too, employ the tech and techniques, but the message should be that it cannot become the only delivery method in a classroom and must be considered more carefully. Jensen, J. L.; Kummer, T. A. and d. M. Godoy, P. D. (2015). Improvements from a flipped classroom may simply be the fruits of active learning. CBE Life Sciences Education, 14 (1), ar5, doi: 10.1187/cbe.14-08-0129. 2 Comments on "Is flipped learning really all the rage?" You make a very important point with access to technology. 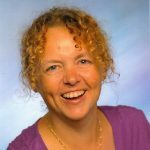 It is the end of 2016 and I struggle to give access to the relevant technology in my FE class and still some students do not have access at home either to a computer/software or the internet. We have focused resources on creating superfast broadband but have left behind many who can’t afford any kind of connection or the equipment to take advantage of it. This is at all levels of education. Thank you very much, David. Yes, I do think that we are often taking things for granted, that we shouldn’t really.